About a week ago, I was presenting at ECO on JSON parsing in the Oracle 12c Database and an attendee asked a great question. To summarize, Maria Colgan gave a keynote in which she noted a feature in 12c that allows you to define a column as Case Insensitive. The attendee in my session asked if this also applied to JSON in the Oracle database. 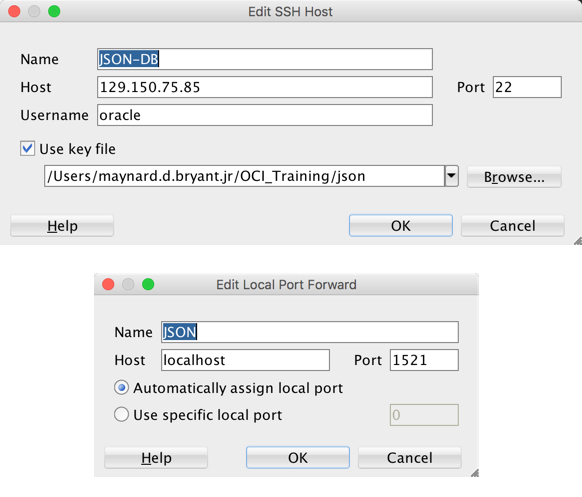 First let’s spin up a DBCS instance. Now, we need to connect to the database. 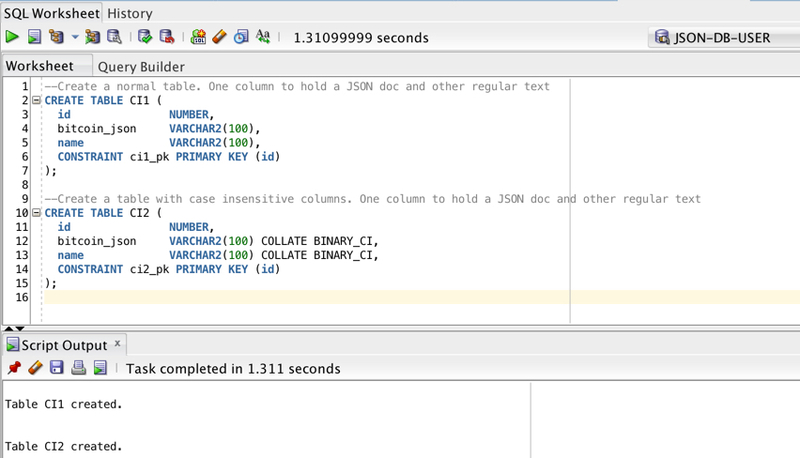 I’ll use SQL developer. You’ll need to setup the ssh connection. Let’s connect and test this out. Remember that you will need to do some additional setup on the database to enable this functionality. Check this link here. 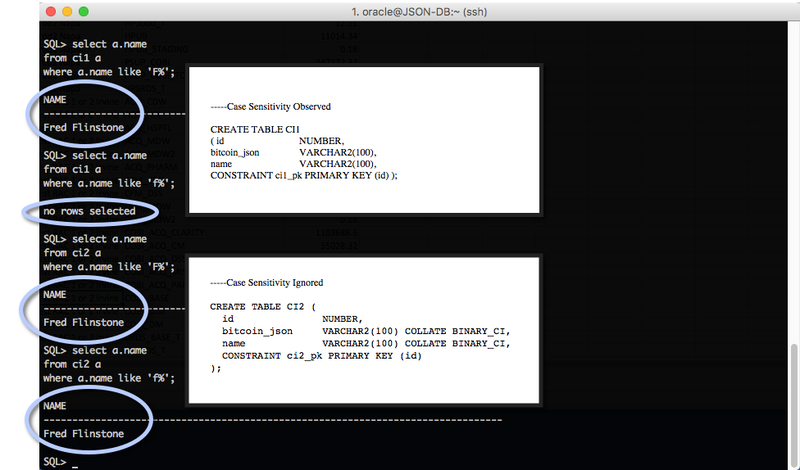 Now that we have our database configured, create two (2) tables. 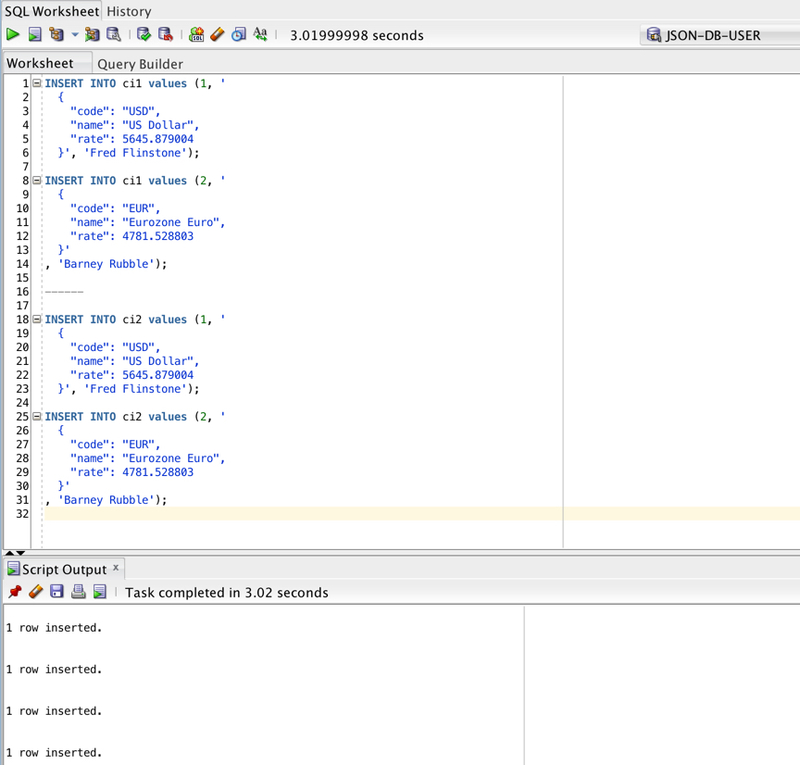 Next we’ll insert the same data in each table. With our tables populated, we can now run some queries to determine if JSON_VALUE recognizes the case insensitivity on the column. 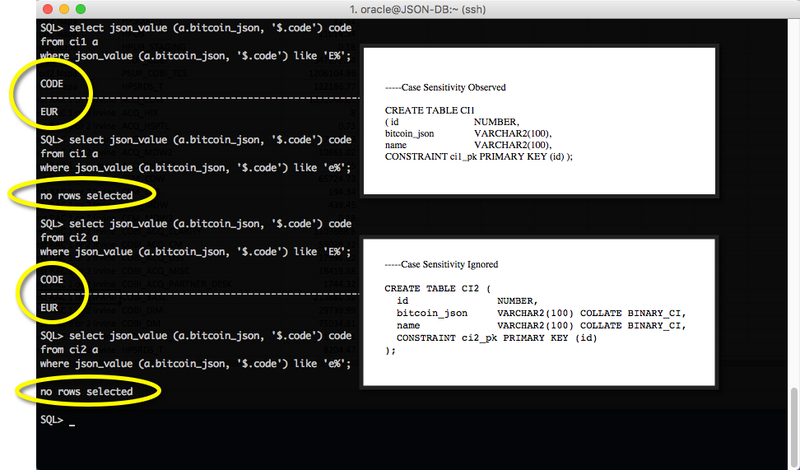 From these examples, it looks as if JSON retains its adherence to Case Sensitivity. I’ll open this post up to discussion. Next Become the Change You Seek!